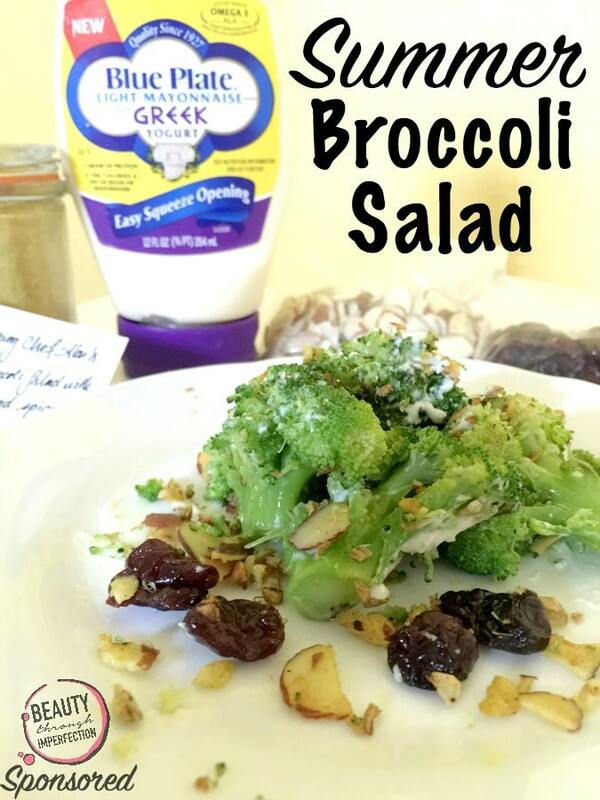 As we gear up for Summer I thought it would be fun to share this broccoli salad recipe with you in partnership with Blue Plate® Light Greek Mayonnaise! If you are planning a family picnic, or gearing up for a Memorial day party with friends, this could easily become your go-to recipe! 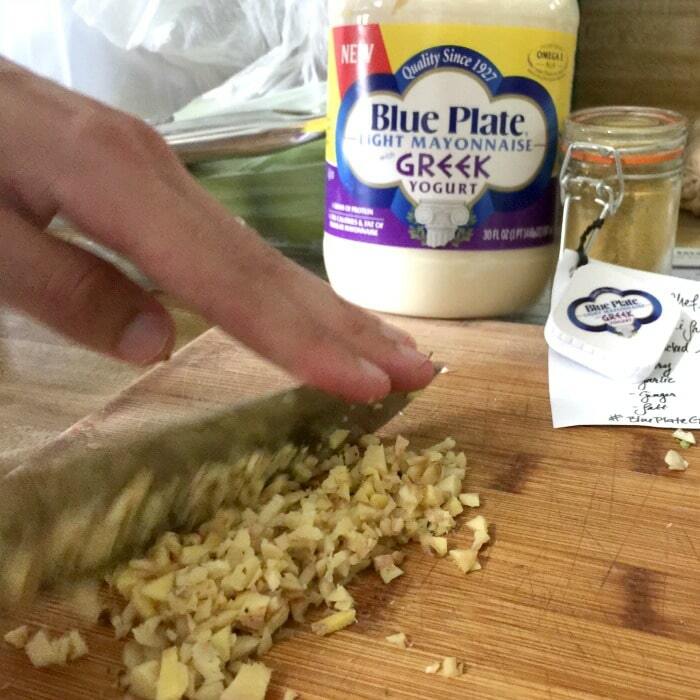 Since Blue Plate has just come out with the only mayonnaise made with Greek Yogurt, it was the natural choice for our salad recipe since it gives the tangy flavor we know and love from mayonnaise but with half the fat and with protein added in from the yogurt! When they sent our box of goodies, they included some amazing recipes from Chef Alon Shaya of Shaya restaurant, and we adapted this recipe from him. Cut the broccoli into small florets and blanche. After blanching sauté the broccoli and set aside in a small glass mixing bowl. In an 8-10 inch sauté pan, place the ginger, oil, almonds and garlic. Cook until the almonds are golden brown, stirring frequently. Then, add the curry powder and cook for another minute. Remove from heat and pour over the cooked broccoli. Lastly, stir in the mayonnaise and dried cherries to taste! 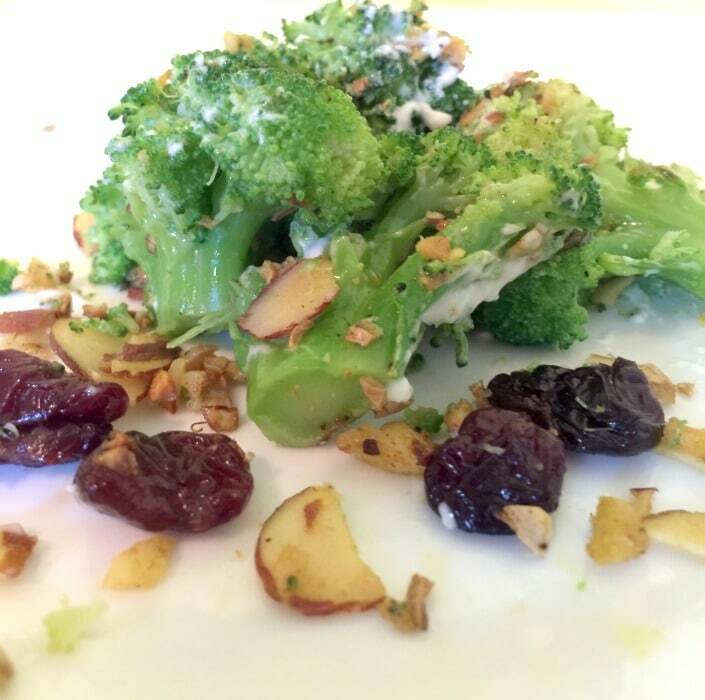 We loved this flavorful recipe adapted from chef Alon! It’s definitely one to bring to all the parties this Summer! 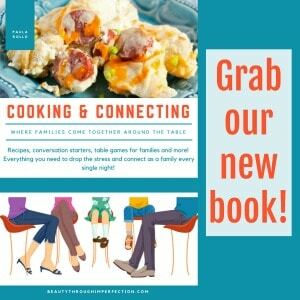 You can also feel confident swapping Blue Plate Light Greek Mayonnaise for regular mayonnaise in any recipe! You won’t lose flavor but will lose fat per serving and gain protein. In an 8-10 inch sauté pan, place the ginger, oil, almonds and garlic. Cook until the almonds are golden brown, stirring frequently. Add the curry powder and cook for another minute. Remove from heat and pour over the cooked broccoli. Stir in the mayonnaise and dried cherries to taste! What is your favorite Summer side dish recipe? 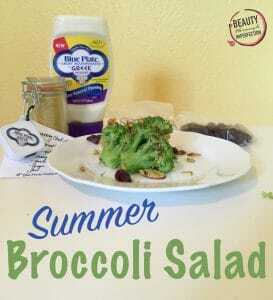 Hey Buddy!, I found this information for you: "Summer Broccoli Salad". 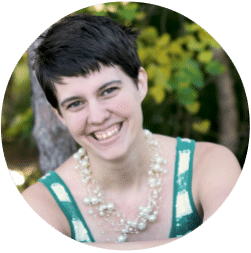 Here is the website link: https://www.beautythroughimperfection.com/summer-broccoli-salad/. Thank you.